Brooks (D6), who didn’t respond to a CRP proposal, has shown disinterest in adding more murals to her district, despite a widely-reported “epidemic” of tagging which reportedly costs the city $1 million annually. That’s not including private property abatement costs, which can run into the thousands and even tens of thousands, and creates a difficult situation for small business owners, who can be fined by the city if they don’t remove tags regularly. 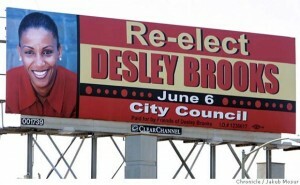 Despite the obvious need for a long-term abatement solution, Brooks seems to think that D6 already has enough murals. It’s unclear what Brooks has against murals, but she reportedly thinks they are too “expensive,” and noted that the murals in her district were funded without any help from the city. Brooks’ position on murals not only seems to contradict her own statement about the need for public art in underserved communities, but the city’s recognition of Oakland as home of the most artists per capita and a civic commitment to producing more public art, as evidenced by Mayor Schaff’s recent resolution for developers to contribute 1% of new developments for art. However, under the ordinance, there is no guarantee that any of that money will be directed to art-poor or blighted neighborhoods; as it now stands, developers have the option of creating art onsite or contributing to the city’s Public Art fund, and the ordinance lacks a community oversight provision. Moreover, the reality is that muralists frequently must cobble together funding from multiple sources for projects. 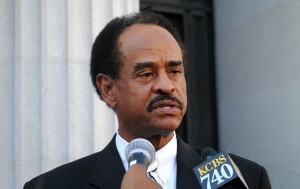 The elimination of redevelopment funds in 2012 severely impacted Oakland artists across the board (including dropping two planned CRP mural projects in East Oakland along the Hegenberger Corridor), and the Cultural Arts Department’s budget is thinly stretched between multiple artistic disciplines, serving Oakland artists, institutions, and arts-based organizations. 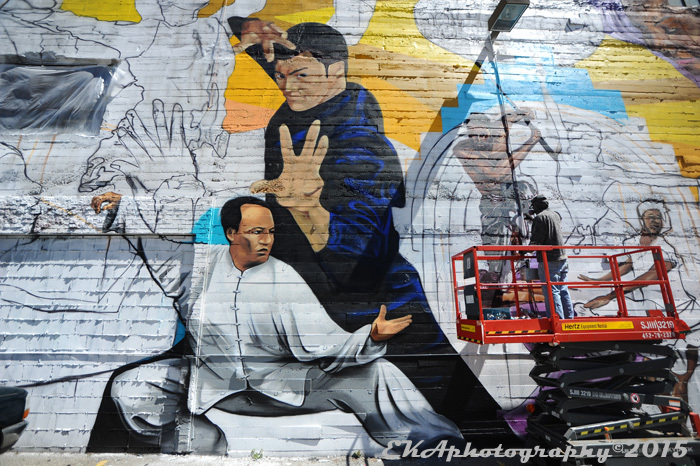 Last fall, the East Bay Express reported that Attitudinal Healing Connection is having trouble raising funds to complete its “Oakland Superheroes” mural project, which engages local youth and employs local artists. The allocation of the $50,000 set-aside per Council district for murals could make a discernible difference in seeding arts projects (which in turn leads to arts districts) throughout the city, reducing blight and offering a more permanent solution to pesky taggers in the process. 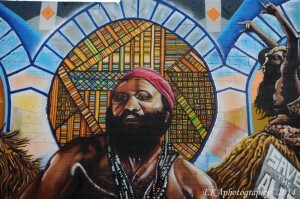 And, as the Alice Street Mural and similar projects have demonstrated, murals can have cultural and historical significance – an important distinction considering Oakland’s rapidly-changing demographics. That seems like a win-win, except that many City Councilmembers have been slow to approve projects, or even send out RFPs. Of the eight Councilmembers, Council President Lynette Gibson-McElhaney and At-Large member Rebecca Kaplan have been the most proactive; both of them have supported current and upcoming CRP projects, although their contributions represent a fraction of the total cost. Councilmember Noel Gallo (D5), who has taken to personally buffing graffiti tags in the Fruitvale district, has also supported murals. After the Tribune raised the issue, several Councilmembers, including Anne Campbell Washington (D2), Dan Kalb (D1), and Abel Guillen (D4), indicated they have mural projects in the pipeline and/or are getting ready to send out RFPs for mural projects – raising residents’ hopes that the tagging problem might soon be addressed. Then there is Brooks and D7 Councilmember Larry Reid, who flat-out told the Tribune he “doesn’t like murals.” Neither have sent out RFPs for mural projects, although Brooks reportedly wants to commission artists to paint utility boxes instead – which obviously doesn’t address the problem of defaced walls and recurring blight, and is unlikely to deter illegal dumping. In order for Oakland to meet its objective of being an arts-supportive city, all its municipal stakeholders—this includes public works, City Council, the Mayor’s office, and the Cultural Arts department – need to be on the same page where public art and blight mitigation are concerned. This should be a no-brainer. 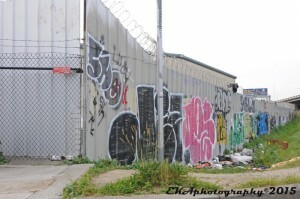 Given the ineffectiveness of the city’s Anti-Graffiti ordinance and its abatement strategy, and the potential benefits of murals, it makes sense that other Council districts would follow the model of Gibson-McElhaney, who identified a high-blight location which suffered from out of control tagging, contacted a mural organization to let them know about the possible mural site, then worked with the organization and the property owner to help the mural come into existence. That model could easily be replicated through similar tag-infested properties throughout the city, and could ease the burden of having to continually buff and rebuff walls for business owners.